The HTC Velocity 4G runs on Android OS v2.3.7 (Gingerbread) and is powered by Dual-core 1.5 GHz Scorpion processor with 1 GB RAM. It has a 4.5-inch, 540 x 960 pixel display. 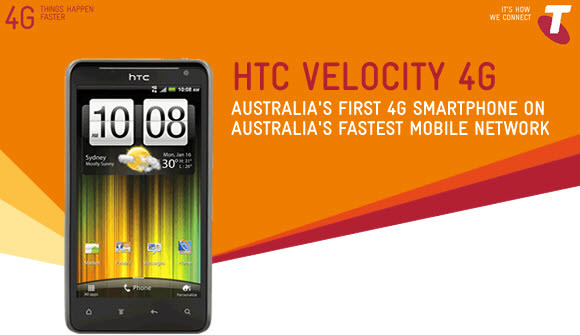 The HTC Velocity 4G also comes with a 8.0-megapixel camera that is able to record videos at 1080p. It comes with 16 GBGB of built-in storage, and is able to support microSD cards of up to 32GB. "HTC Velocity 4G berjalan pada Android OS v2.3.7 (Gingerbread) dan didukung oleh prosesor dual-core 1,5 GHz Scorpion dengan 1 GB RAM. Ia memiliki 4,5 inci, 540 x 960 piksel. HTC Velocity 4G juga dilengkapi dengan kamera 8,0 megapiksel yang mampu merekam video pada 1080p. Muncul dengan 16 GBGB dalam penyimpanan, dan mampu mendukung kartu microSD hingga 32GB"